It is easy to accept donations from your recipients. When you use this functionality, two donation buttons will appear for your recipients, one on the event page itself, and one on the 'thank you' page after your guest RSVPs. Under 'Collect Donations', enter your Paypal email address. 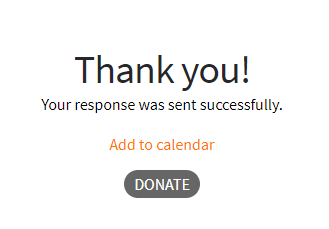 Your donation link and button will appear on your event.